Answer the Call of Hawaii. 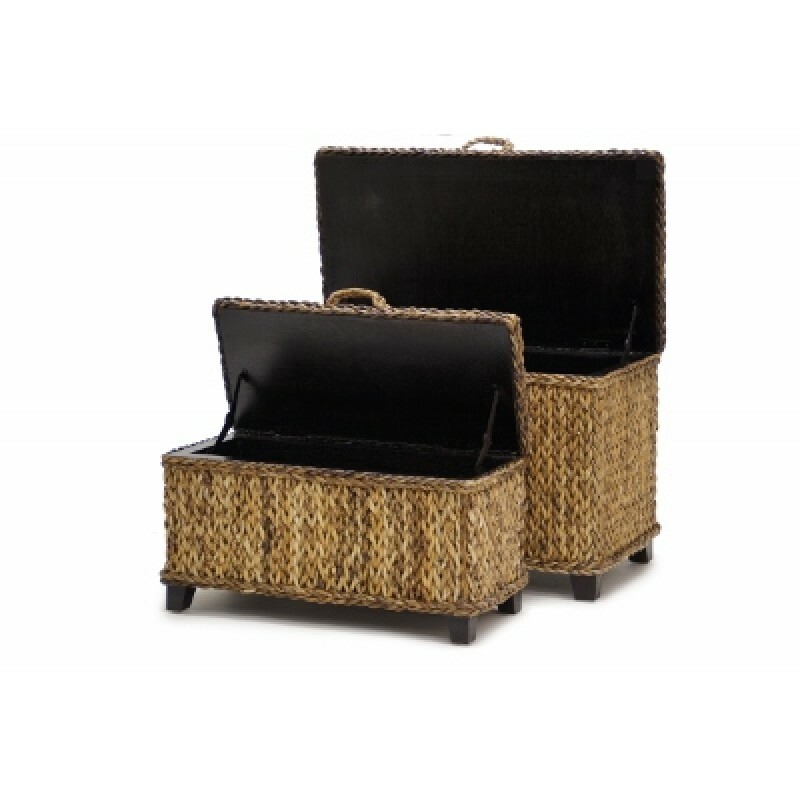 Part of the Island Breeze Collection, these Maui Woven Trunks come in sets of 2 and will bring the best feel of the tropics right into any room! 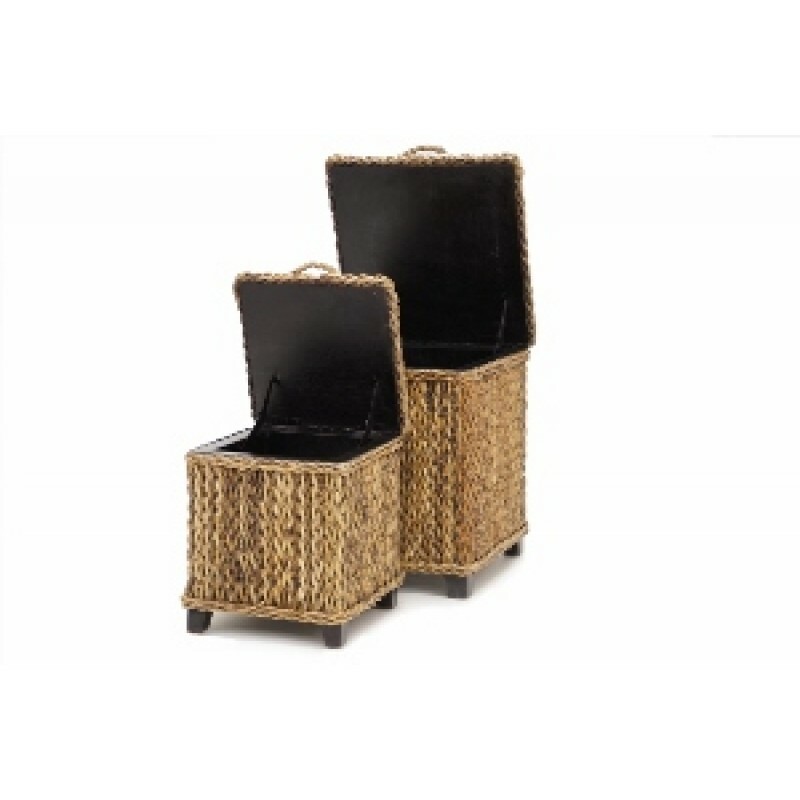 Made of woven natural seagrass. 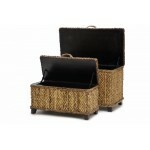 Sturdy and a good place to store pillows and throws or anything else that need to be stored. Natural and mocha in color. Large square size: 25.5" H x 22.5" W x 22.5" D. Small square size: 19" H x 16" W x 16" D. Large rectangle size: 20"H x 36"W x 18"D. Small rectangle: 16"H x 29.5"W x 14"D. Creates a classy, simple, and clean looking living room and can be mixed into your décor with virtually anything.